Cartwright King Director, Laura Pinkney (BA Hons Law 2004 and LPC 2007), has been appointed as the new Head of NTU’s Legal Advice Centre. Laura joined Cartwright King as a paralegal in 2004. She quickly rose through the ranks to become Director and Operational Board member. Laura specialises in serious fraud and regulatory cases and supervised the operational management of more than 200 staff across 18 offices. Laura is also the current President of the Nottinghamshire Law Society. Whilst working in commercial practice Laura remained involved with NTU, giving up her time to help current students as an Alumni Fellow for the Law School. Now, after 14 years at Cartwright King, Laura has returned to NTU as Head of the Legal Advice Centre. The Legal Advice Centre works closely with local businesses, voluntary sector organisations and schools to offer legal support and develop pro bono opportunities for NLS students. In the last year the Legal Advice Centre has recovered £999,208 in compensation for its clients. Laura said: “This really is my dream role. I feel like I have come home! I am passionate about access to justice and this job encompasses everything I Iove about law”. “The Legal Advice Centre plays a vital role in inspiring the next generation of solicitors and barristers. I look forward to continuing the excellent work being undertaken by the Legal Advice Centre." 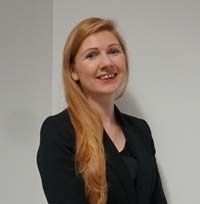 Professor Janine Griffiths-Baker, Dean of Nottingham Law School, added: “Laura has already had an exceptional legal career and is bringing a wealth of experience with her, as well as an extensive network of contacts within the legal profession She will be taking the helm of a unique and successful service”.